Summer is finally here! Two full months of lazy mornings and an open calendar to fill with adventures both big and small. 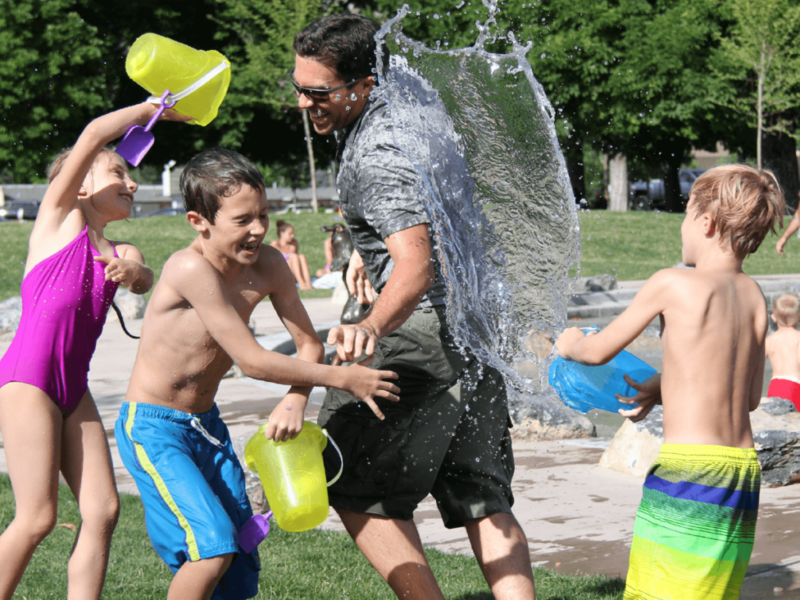 While we like to check out different spray parks and community pools, new beaches, trails, ice cream places, etc throughout the summer, we also like to have some grander stay-cation options to look forward to. But with two kids who are not close in age, it has been a bit of an annual struggle to find things our whole family can enjoy together. Now that the youngest is seven and he’s old enough to enjoy more of the ‘big kid adventures’, our top 5 family fun-filled attractions to visit this summer include a couple old faves and some new ones too! Wanna know what’s on our summer to do list? 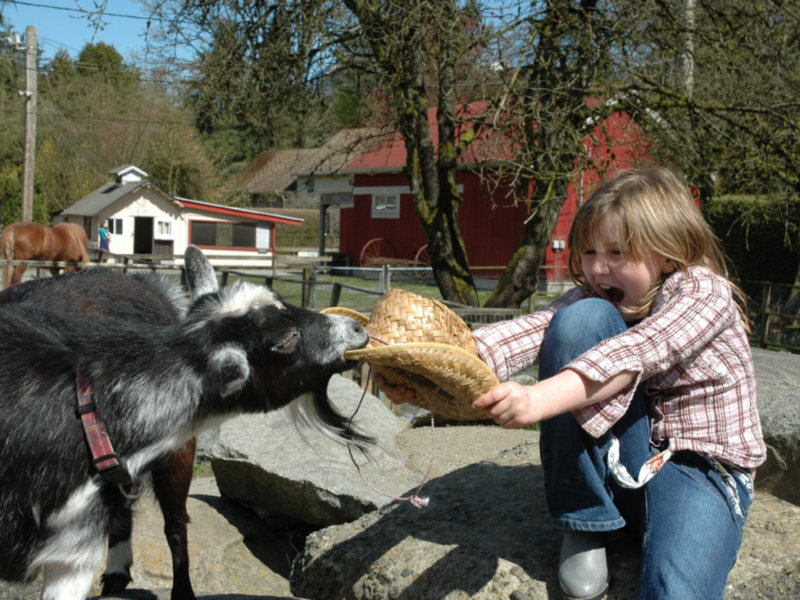 First up is Maplewood Farm in North Vancouver. It’s been a family favourite for well over a decade now, and even at 13 our oldest still loves hanging out in the goat pen and feeding the many ducks, geese and chickens. This family friendly farm has more than 200 domestic animals and birds, many of which love being fed and loved on by gentle children. Each visit to the farm starts out with a visit to our crisper to see if there’s any veggies the rabbits might like, and then a bag of bird seed at the front desk if we’re early enough. The friendly farm hands are great at answering the many questions the kids have and often catch a demonstration or feeding time. Of course we need to eat too, and the many shaded tables are a great spot for a picnic…after washing hands at the many stations. Because this destination is pretty close to us, inexpensive and low-key, it makes a great spur of the moment boredom buster! Follow Maplewood Farm on Twitter, Instagram or Facebook, or check their website regularly for upcoming events and activities. 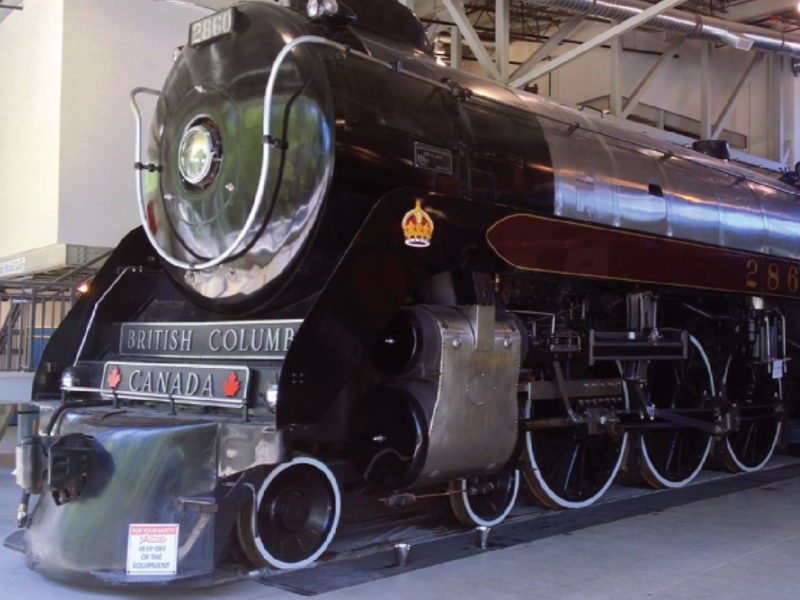 Another recurring family favourite is the West Coast Railway Heritage Park located in beautiful Squamish. The scenic drive there is only part of the fun! When you’ve got a bit of a car ride ahead of you, we are always prepared with some awesome tunes! Jessie Farrell’s new album, Sparkle & Shine, is inspired by nature and perfect for a drive to an outdoor adventure. You can preview & download this album on Apple Music or order the CD online, and also catch Jessie & The Gumboot Kids on CBC Kids! There’s a ton of fun to be had in every episode and we found the Gumboot Kids a great way to encourage our kids to get out and explore nature with us! Also in the Squamish area is a really unique way to beat the heat of summer and learn some local history. The Britannia Mine Museum offers underground tours in a real mining cart through actual mining tunnels, just like the miners did in 1914. Don a hard-hat and bring a sweater as you travel into the past, and much cooler temperatures (12 degrees!) while learning how mining was done over a century ago and how it progressed. It’s a pretty family friendly ride, though use your discretion with young kids. But there are many other spots kids will really enjoy. 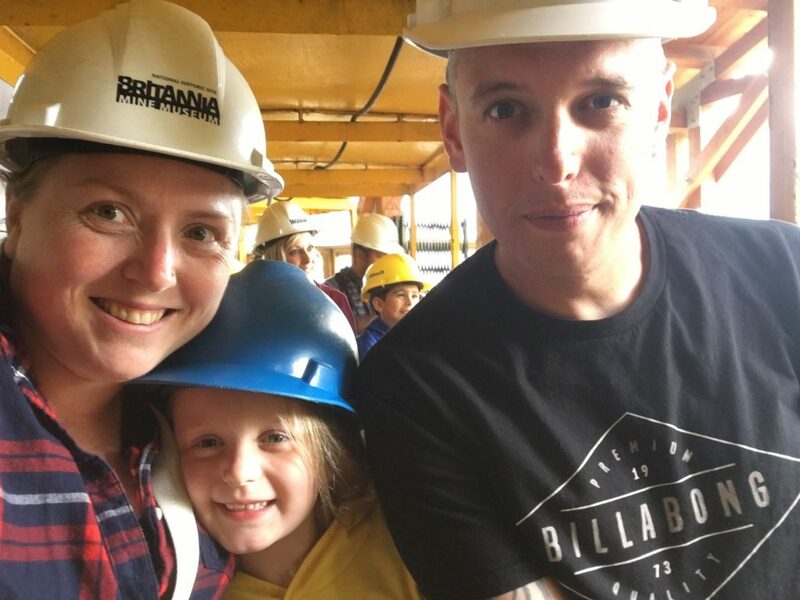 Tara’s family visited Britannia Mine Museum for the first time recently, and A loved the mucking machines and the giant sand pit. But tops on her list? Panning for gold! With troughs and pans set out at all heights, anyone can try their hand with the gold pans, and if you find it…you keep it! And don’t leave without checking out the gorgeous panoramic view on the newly restored Howe Sound Deck. There’s so much to learn, see, and do at this historic mine site, and new events and exhibits happening all the time, including a different themed activity each day of the week, all summer long. To stay in the know, follow the Britannia Mine Museum on Facebook, Twitter or Instagram or check out their website. Cultus is pretty much synonymous with water and summer, and Cultus Lake Waterpark is the mecca of waterslide action. It’s the largest waterpark in all of BC and truly has something fun for every age and adrenaline level! They have the best lazy river and baby B and I could mostly be found either there, in the hot tub or splashing around in Pirate’s Cove, while my daring daughter hit the slides with dad. A managed to get me up and onto a shared tube to ride the Valley of Fear, and it truly lived up to its name. She still loves to tell the story about how terrified I was on the way down! Cultus Lake Waterpark is now open for the summer, rain or shine! For more information about slides, attractions and heights requirements, check out their website, and or give them a follow on Twitter, Facebook or Instagram to check on conditions or upcoming events. Same destination, different fun location: Cultus Lake Adventure Park! I seriously had no idea this theme park existed for years, and this summer we might visit a couple of times to make up for it. The selection of rides are the perfect blend of easy-going and thrilling for the under 12 set with many of them being open to adult riders too! 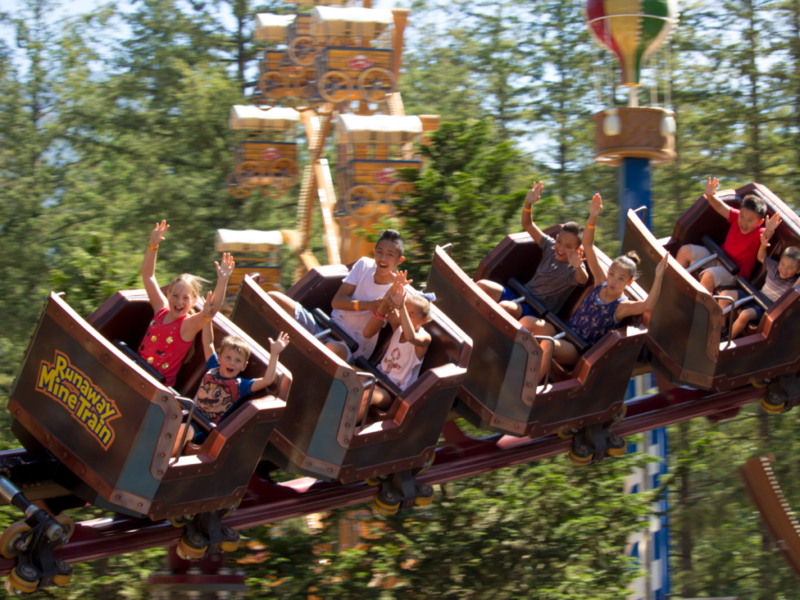 Three brand new rides have opened this summer, plus Cultus Lake Adventure Park also has other fun attractions like gem panning and mini golf which has big appeal for our slightly competitive family. To check out the rides and height restrictions check out their website and follow Cultus Lake Adventure Park on Facebook, Twitter or Instagram for the latest happenings. While there is not a park hopper pass between the two as of yet, you can save a few bucks by visiting Cultus Lake Waterpark first. On each Waterpark ticket, there is a Cultus Lake Adventure Park coupon. 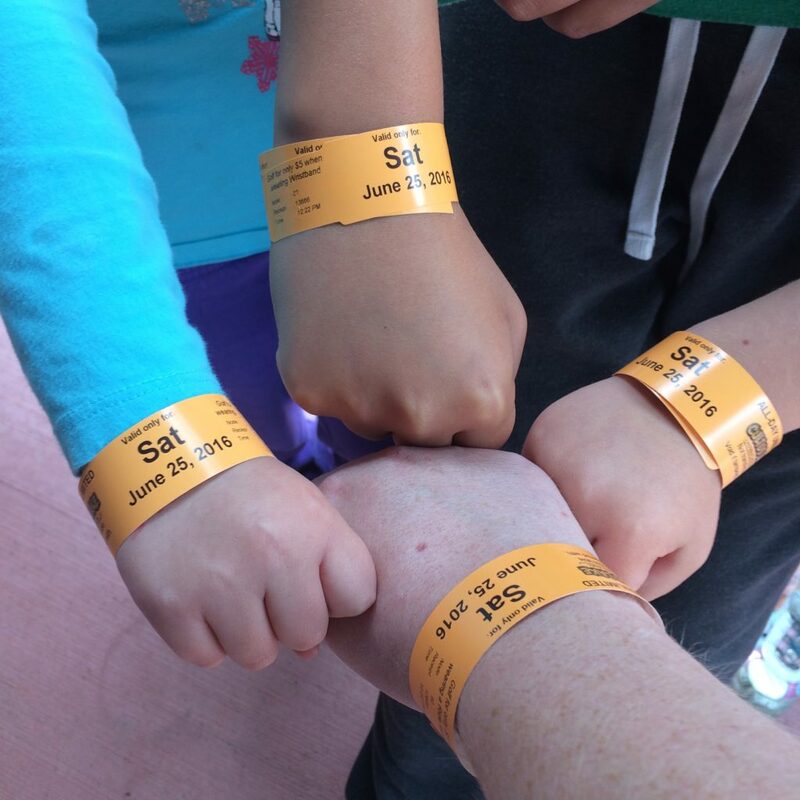 Redeem them and pay only $15 for an Unlimited Rides Wristband! With these summer fun attractions on our to-do list this year, we are sure to make some lasting memories. And that’s the best part really. 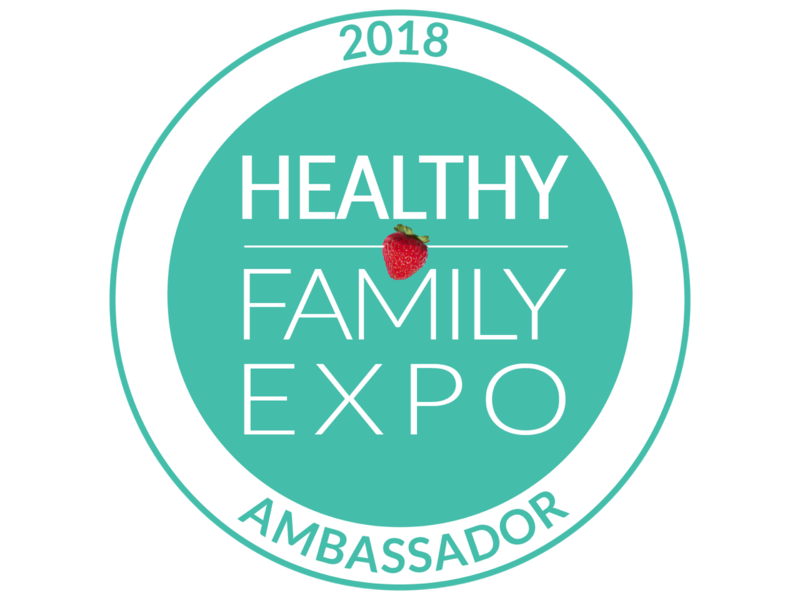 Thank you to the Healthy Family Expo for inspiring our adventures with their Summer Family Fun 2018 Guide! What is on your calendar this summer? We are always looking for new spots to try! Some great ideas!! I love being a tourist in my city! Staycations for the win!! Thanks for sharing! I’m adding a few of these things to our summer fun list!!! I need to check some of these out!! Thank you for compiling this! Hoping to do most this summer! Been to most, the mines are on our bucket list now! So many great ideas here! My kids are camping with their Dad at Cultus Lake right now and I think he might take them to the Adventure Park. I haven’t been to cultas in too long! A great list of things to do this summer! Cant wait to try them all out! 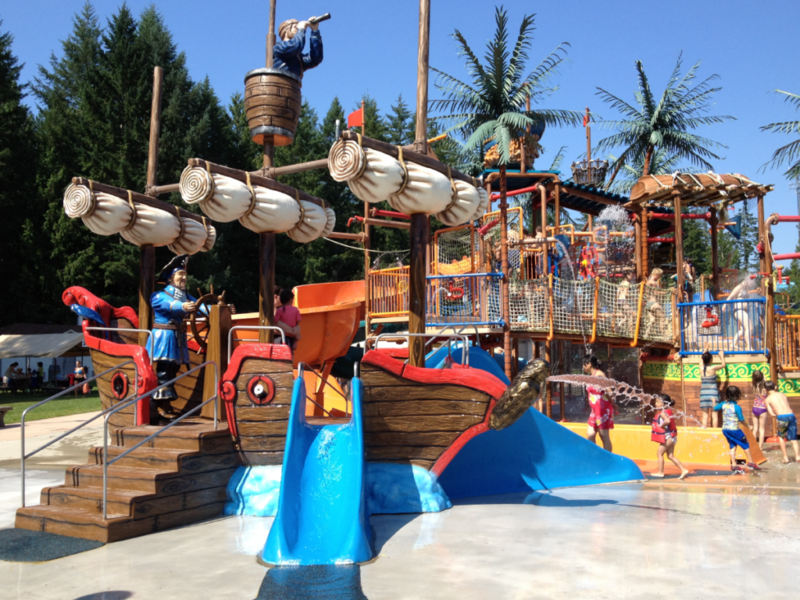 We hit cultus waterpark this year but have never tried the adventure park. I want to go! Thank you so much for al these wonderful suggestions, we just recently moved to the mainland, and weren’t really sure what there really was to do around here other then the obvious parks/pools that are in our neighbourhood. 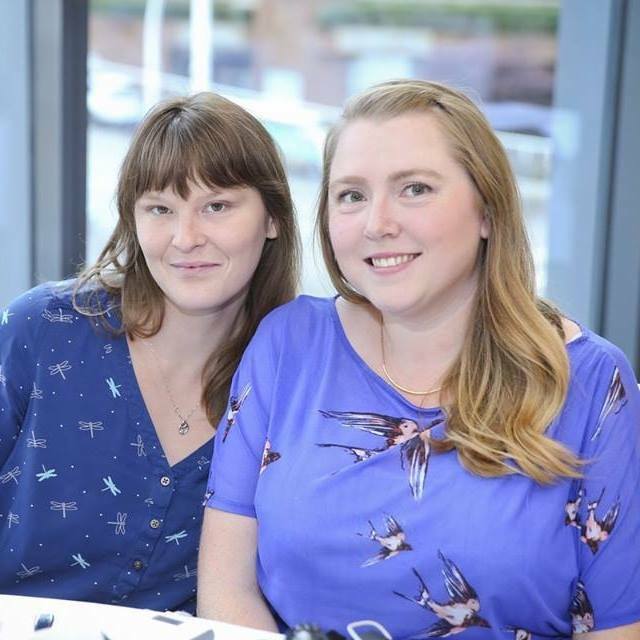 This list is fantastic and I can’t wait try out these places! Staycation for the win!! Can’t wait, we are doing long weekend boat camping and a mini trip to Harrison for 3 nights! We have done Brittania mine, Cultus lake adventure park and Cultus Lake Waterpark before. So far this summer we’ve just done the adventure parks but we’ll be going to the water slides too. love cults lake Waterpark but need to try the adventure park! We plan on doing the adventure park this summer too!!! Looks like such fun! We had a blast this summer at the waterslides. I’m hoping to go to the adventure park side next summer when my youngest is a little older. 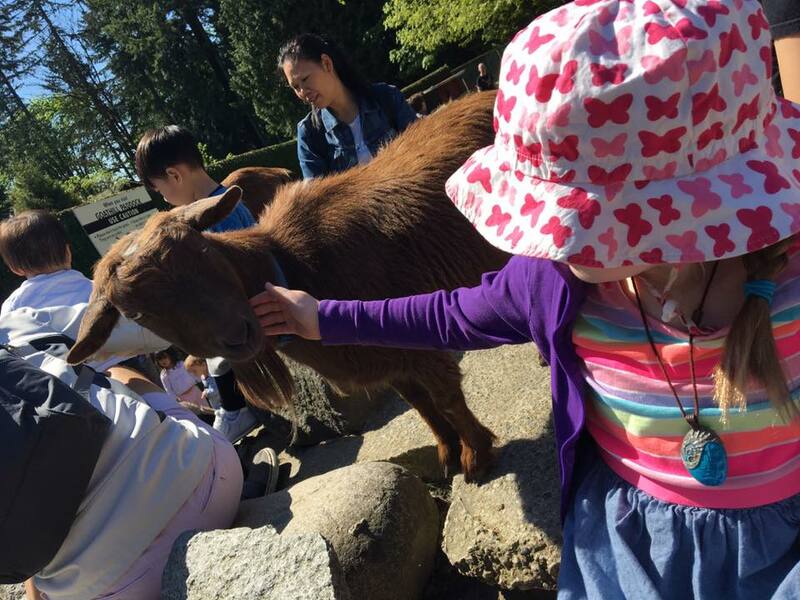 The kids loved Cultus Lake Adventure park! Thanks for all your research on fun spots. Awesome information! Thank you for posting this information and also for the goosebumps giveaway! Very exciting. I love your posts especially since the information is usable for me since I’m also in the Vancouver area. So great!